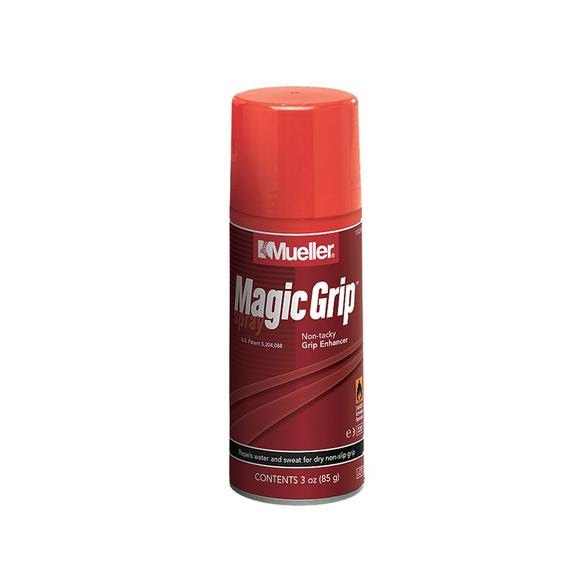 This unique grip enhancer from Mueller forms a powdery film which repels water and sweat, yet allows skin to breathe. Can be used on hands or gloves. Ideal for all sports where a clean, dry, nonslip grip is an advantage and improves grip by up to 75%. Can also be used under neoprene sleeves and orthopedic devices to help keep them in place. This unique grip enhancer from Mueller forms a powdery film which repels water and sweat, yet allows skin to breathe. Can be used on hands or gloves. Ideal for all sports where a clean, dry, nonslip grip is an advantage and improves grip by up to 75%. Can also be used under neoprene sleeves and orthopedic devices to help keep them in place. Approved for use by high school, NCAA, and professional sports associations. It&apos;s not sticky or tacky and washes off with soap and water.